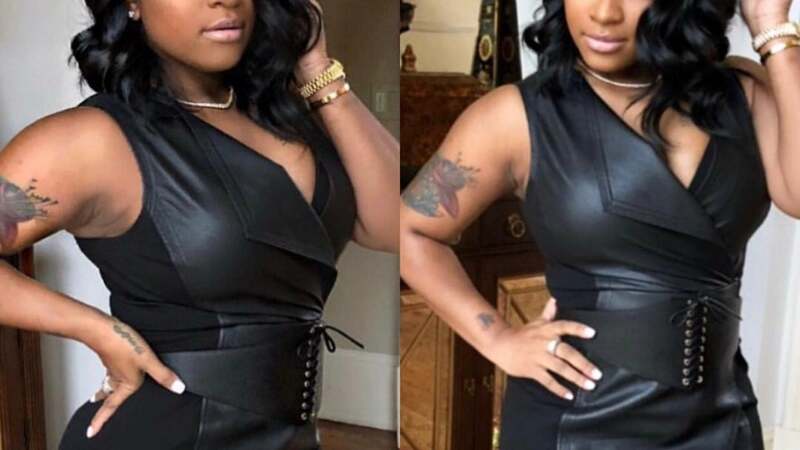 If you’ve scrolled through former reality TV star Toya Wright’s Instagram feed and ever thought to yourself, her wig is laid, you should know that the Black woman responsible for the entrepreneur’s trendy new ‘do is hairstylist to the stars, Dominique Evans. 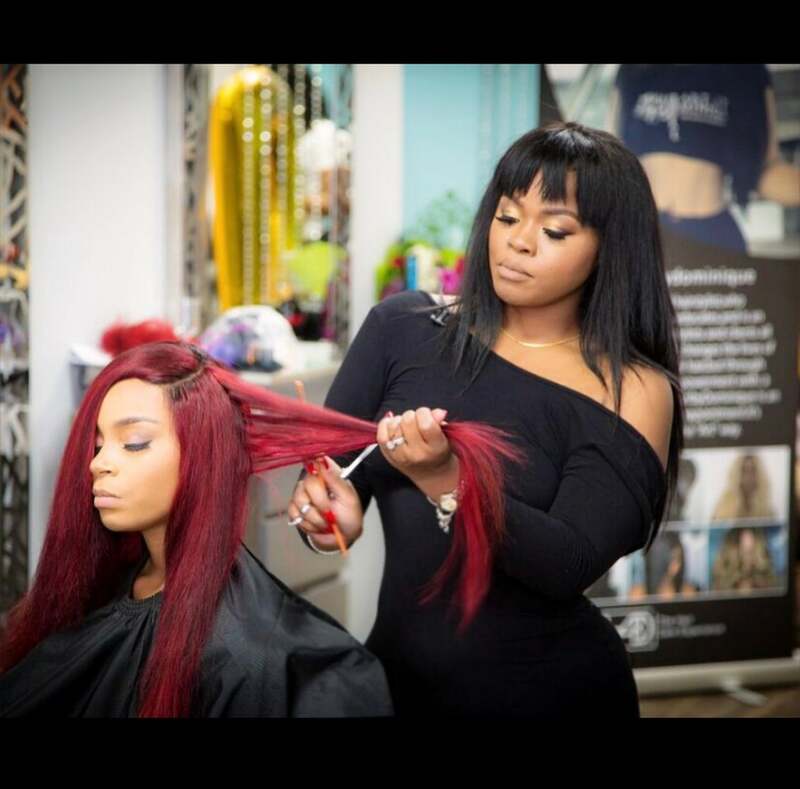 The Chicago native moved from Milwaukee to Atlanta, Georgia, to pursue her dreams of becoming a professional hairstylist. Ever since she made the trek to the South, her clientele and Hair Art by Dominique salon has grown, thanks in large part to word-of-mouth and an early decision to post photos of her hair creations rather than selfies on Instagram. In fact, using Instagram to promote her brand is just how celebrity clients, such as gospel singer Tasha Cobbs, actress LisaRaye McCoy, Love & Hip Hop Atlanta star Rasheeda Frost, rapper Young Thug and, of course, Wright, found Evans. Ahead of Evans’s new wig and product launch on Saturday, in Atlanta, the accomplished master stylist and traveling educator reveals just how her brilliant scissor hands created Wright’s signature get-up-and-go bob—a low-maintenance, protective style, she says, that was essential for the new mom. “Toya wanted something messy, wild and flowy that she could shake and go,” Evans tells ESSENCE. Her solution, after examining the structure of Wright’s face, was to do a quick weave, which is a protective style or temporary extension that can last anywhere from four to six weeks. And, apparently, so do fans on social media, who have tagged the style #HairGoals. Even if you’re not in Atlanta to get your hair done by Evans, fortunately for us, she’s releasing a new wig line and a four-part hair repair system that’s crafted for different hair types and textures. And, yes, Wright can’t wait to get her hands on the products, too. The four different systems include: a hair growth system, a moisturizing and hydrating system, a dry and itchy scalp system and a system for natural hair. In fact, Evans serves as her own product tester, shaving her head bald to ensure the hair growth system would do just what she claims. She plans to reveal just how much her hair has grown at the private launch on May 5, which will showcase Evans’ wigs, 20-plus additional styling products and four-part hair care system. Looking to get your very own Hair Art by Dominique wig or hair care products? Beginning on May 5, visit the site here.